Trip out to see 'Seven Wonders of Corn Yield' at Farm Progress Show. 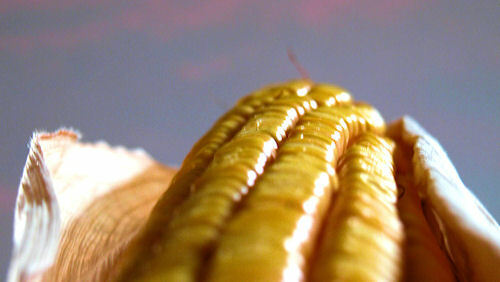 Most Northeast corn growers have never seen the likes of 300-bushel corn. But when you stand in the middle of a towering stand with wrist-sized stalks and large, girthy ears, you can't help but be inspired. In a couple weeks, you'll have an opportunity to take a peek at the technologies that make that once rarely achievable phenomenon consistently common. It all comes together in the "Seven Wonders of the Corn Yield World" research plots at the 2011 Farm Progress Show. 300-BU. EARS: High-yield corn plots are just one of the many mind-boggling features of the upcoming Farm Progress Show. The research plot will be a key attraction during the nation's largest ag showcase at Decatur, Ill., Aug. 30, 31, and Sept. 1. After 25 years of pioneering research and in pursuit of the elusive goal of producing 300 bushels of corn per acre, University of Illinois Plant Physiologist Fred Below has pinned down the unique contribution of each "high tech" component. His Seven Wonders plot tests combinations of five groups of "high tech" practices together and individually in a unique "omission plot" design. The "omission" of any one group or input, allows Below and his team to see the bushel impact of its addition or subtraction. Then they compare it to other plots in which all "high tech" actions were in place in same plot. Replicated in various locations over various years, the results allowed him to identify and rank those seven factors with the greatest impact on corn yield. Below will present his research plot results, answer questions and offer tours of his on-site test plots during the show at the Agrotain exhibit on 11th Street. The plots are jointly sponsored by Agrotain International, BASF, Dekalb and Mosaic. This is the first time a group of companies has sponsored plots of this nature at a Farm Progress Show site with the goal of providing a comprehensive look at improving yields and efficiency. Representatives from each company will be on hand to answer grower questions as well. Growers and other interested in learning more about Below's research before the Farm Progress Show can find more information at www.7WondersOfCorn.com. Check out what you'll find at the 58th annual Farm Progress Show before you make the trip though. The newest and biggest of just about everything will be there. You won't be able to see it all in one day, and lodging will be tough to find within 25 miles. Visit the website www.farmprogressshow.com to check out the online Interactive Show Planner tool.